In Ryan Cecil Jobson’s contribution to the “Race & Capitalism” series, histories of colonialism, enslavement, and indentured labor in Guyana provide a key frame for understanding current perceptions and complex politics of its oil boom. Jobson chronicles past alliances and divisions among Guyana’s workers along racial lines, and argues that the infusion of oil revenue may exacerbate current racial tensions while principally enriching multinational capital to the detriment of most Guyanese. —George Lamming1George Lamming, “The West Indian People,” New World Quarterly 2, no. 2 (1966): 65. 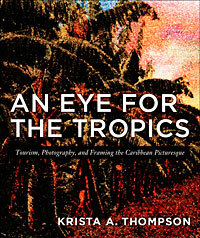 Likewise, representations of Guyana often take license beyond material encounters with its peoples and landscapes. After his infamous search for El Dorado in the late sixteenth century, Sir Walter Ralegh tantalized Europeans with a description of Guyana brimming with fabrications. In The Discovery of Guiana, he boasts of “hills with stones of the colour of gold and silver…an undoubted assurance of the general abundance” as well as “people whose heads appear not above their shoulders.”3Walter Ralegh, The Discovery of Guiana: With Related Documents (Boston: Bedford/St. Martin’s, 2008). Exaggerated portraits of this sort continue to obscure material histories of extractive accumulation in the form of the sugar plantation, the bauxite mine, and the oil rig. In Guyana, discourses of race are used to preserve a pliable labor force for the productive requirements of export commodities. Mistakenly, however, a racially polarized postcolonial landscape is regarded as an inevitable outgrowth of histories of African enslavement and indentured labor from Portugal, China, and principally the Indian subcontinent. It is not the passage of time that has forgotten Guyana. Rather, it is the legacies of racial slavery and indenture that entrenched racial difference and preserved the underdevelopment of Guyanese society. The history of Guyana is that of an archetypal colonial frontier. Unlike earlier colonial plantation societies in Barbados, Jamaica, and Hispaniola, which were sustained by abundant stretches of arable land, the plantation system in Guyana arose only through the painstaking transformation of the coastal landscape. Meticulously reconstructed by Walter Rodney in A History of the Guyanese Working People, 1881–1905,4 Baltimore: Johns Hopkins University Press, 1981More Info → the coastal swampland was dug, drained, and dammed by enslaved Africans who excavated 100 million tons of soil. Agricultural production in rectangular polders could only be sustained through continuous maintenance and reinforcement against the encroachment of the sea. The threat of flooding remained a common preoccupation of the planter class. At the same time, the flood lent itself to a tactic of resistance in which dams were intentionally cut and production sabotaged by discontented laborers. The abolition of slavery in the British West Indies occasioned a turn to new frontiers of abundant labor. Strike actions carried out by free Africans frustrated efforts by planter capitalists to maintain artificially low wages. Indentured labor, in which immigrants were contracted to work for a fixed period—often five years—at a set rate of pay, buffered against the demands of the emancipated, black working class. The largest contingent of indentured labor was drawn from the Indian subcontinent, totaling more than 200,000 arrivals between 1851 and 1917. The introduction of indentured workers sowed new racial divisions. In the colonial imagination, Africans and Indians were differently racialized prior to their contact on the South American coast. Race was, however, constantly invoked and reinforced to maintain its coercive power as a wedge between segments of the Guyanese working class. But race as we understand it was not the sole divider of the working class. Indian “free coolies,” as they were derisively called, added to the ranks of a growing peasantry or formed independent bargaining units alongside their African compatriots. As Rodney details in his History, many Indian laborers, having met the terms of their indenture contracts, left the plantation quarters or “bound yards” to take residence in the villages. African laborers from Barbados were also recruited on a seasonal basis to undercut the wage demands of their Guyanese counterparts. In the former instance, “task gangs” comprised of nominally free labor circulated through several plantations to negotiate the conditions and wages of short-term employment. African and Indian village labor alike were vexed by competition from the fixed wages of newly indentured Indians on the estates. Colonial Guyana experienced labor conflicts both within and between racialized populations, exploiting national and religious rifts in tandem with the specter of race. The predominance of racial division over other modes of difference in postcolonial Guyana was not always guaranteed. African and Indian Guyanese labored together in task gangs, which lent themselves to the formation of syncretisms and original traditions.5Kaneesha Cherelle Parsard, “Cutlass: Objects Toward a Theory of Representation,” in Indo-Caribbean Feminist Thought, eds. Gabrielle Hosein and Lisa Outar (New York: Palgrave, 2016), 241–260. It is the tragedy of Guyana that this inchoate national consciousness never achieved its fullest political expression. Noteworthy efforts to eradicate persistent racial antagonisms were carried out in the 1950s and 1960s under the avowedly Marxist-Leninist People’s Progressive Party (PPP) of Cheddi Jagan, and again in the 1970s by Rodney’s Working People’s Alliance (WPA). The former succumbed to a split in party leadership that fractured its ranks along racial lines.6Guyana became a target of US covert operations as the CIA funneled over US$1 million through the AFL-CIO to finance a general strike by the Afro-Guyanese opposition that explicitly fomented racial violence and ousted Jagan in favor of his onetime comrade Forbes Burnham. See Stephen G. Rabe, US Intervention in British Guiana: A Cold War Story (Chapel Hill: University of North Carolina Press, 2006). In the latter case, the assassination of Rodney on June 13, 1980, proved irreparable to his longstanding cause of working class unity. Race proved decisive in post-independence Guyana. By securing electoral support on the basis of racial allegiance, state actors were insulated from the potential mobilization of a multiracial working class. Forbes Burnham, for example, nationalized bauxite and sugar operations in an effort to diffuse criticism from political opposition and counter wildcat strikes among the nation’s workers, but also entrenched one-party rule and rewarded People’s National Congress (PNC) loyalists. “Burnhamism” thrived as a political ideology in which public resources were pilfered by the political elites of the PNC.7Burnhamisn is defined by the Guyanese intellectual Eusi Kwayana as a system of governance in which “the political elite exacts tribute from individuals and from the public resources and even from cooperatives which were to be the instrument of emancipation.” Eusi Kwayana, The Bauxite Strike and the Old Politics (Atlanta: On Our Own Authority! Publishing, 2012): 154. As a populist gesture, nationalization failed to unshackle the Guyanese economy from its dependence on international markets for primary export commodities. Riddled by internal corruption and a metastasizing debt crisis, Burnham’s successor, Desmond Hoyte, implemented a program of economic liberalization under IMF and World Bank directives. With voting blocs secured on the basis of racial chauvinism, contemporary political elites are permitted to court multinational investors with tax exemptions and incentives while adopting ever harsher austerity measures on the people of Guyana. The present state of affairs in Guyana is neither natural nor predestined. By obscuring the parallel histories of race and capitalism, popular representations portray the causes of Guyana’s persistent poverty as purely endogenous in origin and the discovery of oil as an improbable blessing. The discovery of massive deposits of crude oil in Guyanese territorial waters was far from unlikely. Guyana is symptomatic of a new energy landscape in which technological innovations have opened unconventional extractive frontiers in the Western Hemisphere. In 2014, then chairman and CEO of ExxonMobil Rex Tillerson heralded North America as the new center of oil and gas production in the twenty-first century, citing three frontier areas: Canadian oil sands, US tight oil and shale gas, and deepwater plays in the Atlantic.8Tillerson was particularly optimistic of the deepwater sector: “With each passing year, the industry continues to improve these technologies and processes so that it can drill deeper, more quickly, more accurately, and more safely than ever before.” Rex W. Tillerson, “Energy Leading the Way: From Investment and Innovation to Twenty-First Century Economic Transformation,” in Business in a Changing Society: Festschrift for Peter Brabeck-Letmathe, ed. Andreas Koopmann (Zurich: Neue Zürcher Zeitung Publishing, 2014): 31. After Venezuela nationalized ExxonMobil’s assets in 2007, company leaders turned increasingly to nontraditional petroleum geographies, including in neighboring Guyana. Once oil markets nosedived following the explosion in US shale production in 2014, Guyana exited the Venezuela-led Petrocaribe as ExxonMobil renewed its efforts to unlock Guyana’s vast offshore deposits. As I detail elsewhere, in its search for alternative fossil fuel sources, ExxonMobil exploited arbitrary and long disputed colonial borders to circumvent Venezuela and its territorial claims in the Eastern Venezuela Basin. Oil is prescribed as the remedy for the social afflictions of Guyana. The election of President David Granger by a coalition of the traditionally Afro-Guyanese People’s National Congress (PNC) and multiracial Alliance For Change (AFC) in 2015 sparked cautious optimism that racial divisions would dissolve along with first oil in 2020. While government ministers appealed to disaffected publics with hyperbolic projections that “[e]ach Guyanese is going to be a US-dollar millionaire, or worth that, in a few years,” the release of the 2016 Product Sharing Agreement (PSA) between the Government of Guyana (GOG) and ExxonMobil offered reason for skepticism. The contract entitles the GOG to a 2 percent royalty on gross earnings, and the crude volume is to be split evenly only after ExxonMobil recoups its operational costs from oil sales capped at 75 percent of total monthly production. The latter provision is notorious for its susceptibility to abuse through deliberate inflation of costs, shrinking the government share of production and windfall profits. Even conservative IMF analysts appraised the PSA as exceedingly generous to ExxonMobil and advised the GOG to negotiate a higher share of crude proceeds and more progressive tax regime in subsequent agreements. Disapproval of the PSA triggered a vote of no confidence in the National Assembly of Guyana on December 21, 2018, toppling the ANC-AFC coalition government. AFC parliamentarian Charrandas Persaud cast the decisive vote, breaking from Granger’s ruling coalition. 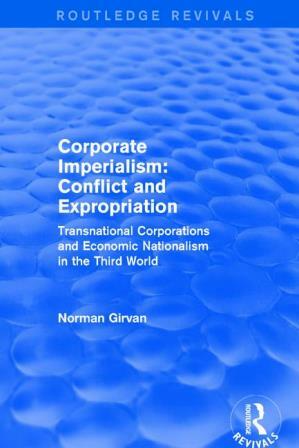 At an earlier juncture, Jamaican economist Norman Girvan saw the Guyanese bauxite industry as part of a wider sphere of “corporate imperialism,” in which “companies control the markets and the production technology, so that governments are often faced with a choice of having their bauxite exploited on the company’s terms or not having it exploited at all.”9 New York: Routledge, 2017More Info → The same model applies to the infant Guyanese oil industry. Even a small oil windfall, after all, is preferable to no windfall. With electoral blocs polarized along racial lines, clientelism remains a dominant method of retaining control of the postcolonial state. Insulated from working-class uprisings by the persistence of racial antagonisms, state actors accrue minimal revenues to appease key constituencies while granting multinationals generous fiscal terms to extract massive profits. Despite this bleak outlook, it would be mistaken to regard the feared “resource curse” as a foregone conclusion. Oil will undoubtedly generate unprecedented streams of government revenue. Yet, while advantageous for the extraction of capital, political antipathies that generate no value for the people of Guyana persist on a foundation of racial myths. Guyana is far from exceptional in this regard. Following Walter Rodney, Guyana is a quintessential capitalist frontier whose internal contradictions are resolved only by the obstinacy of racial ideology. Its seemingly obscure and exotic qualities appear quite ordinary when viewed in relation to other regimes of race and labor elsewhere in the hemisphere. In the prelude to Guyanese political independence in 1966, Caribbean intellectuals of the New World Group turned to Guyana as a staging ground for the ideals of racial and economic democracy in the Americas. While sober in their assessment of the national disintegration that followed the split of the PPP, the authors nonetheless identify the principal task as the “need for Guyana to establish an independent national identity (either on her own or as part of a regional structure) which can provide a foundation for the democratic solution of her own problems.”10“Working Notes Towards the Unification of Guyana,” New World Quarterly (March 1963): 53. While economists are right to caution against the trappings of Dutch Disease—the phenomenon in which resource booms trigger declines in other sectors of the economy—Guyana is primarily afflicted by another disorder that traces its foundations to Dutch colonial settlement, the enslavement of Africans, and the violent displacement of its indigenous Amerindian peoples. This earlier strain of Dutch Disease, sustained and expanded under British colonial rule, is nothing other than the persistence of racial ideology forged in service of metropolitan capital. Racial myths do not perish easily. 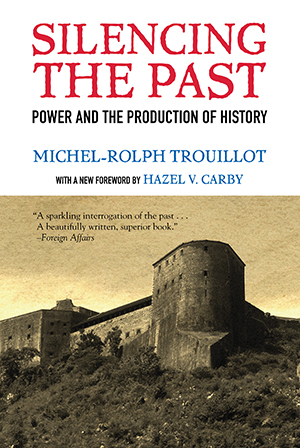 As anthropologist Michel-Rolph Trouillot reminded us, they are sustained only by an ongoing effort to silence the past and render the messy histories of race as inevitable and absolute.11 Boston: Beacon Press, 2015More Info → In Guyana, the elevation of thwarted histories of multiracial working class collaboration—in the bound yard, the task gang, and the wildcat strike—offer a promising ground for the production of a new national and hemispheric political consciousness founded upon the embrace, rather than occlusion, of difference. In this respect, Guyana demands our attention once again as a principal theater in the history of race and capitalism. George Lamming, “The West Indian People,” New World Quarterly 2, no. 2 (1966): 65. Walter Ralegh, The Discovery of Guiana: With Related Documents (Boston: Bedford/St. Martin’s, 2008). Kaneesha Cherelle Parsard, “Cutlass: Objects Toward a Theory of Representation,” in Indo-Caribbean Feminist Thought, eds. Gabrielle Hosein and Lisa Outar (New York: Palgrave, 2016), 241–260. Guyana became a target of US covert operations as the CIA funneled over US$1 million through the AFL-CIO to finance a general strike by the Afro-Guyanese opposition that explicitly fomented racial violence and ousted Jagan in favor of his onetime comrade Forbes Burnham. See Stephen G. Rabe, US Intervention in British Guiana: A Cold War Story (Chapel Hill: University of North Carolina Press, 2006). Burnhamisn is defined by the Guyanese intellectual Eusi Kwayana as a system of governance in which “the political elite exacts tribute from individuals and from the public resources and even from cooperatives which were to be the instrument of emancipation.” Eusi Kwayana, The Bauxite Strike and the Old Politics (Atlanta: On Our Own Authority! Publishing, 2012): 154. Tillerson was particularly optimistic of the deepwater sector: “With each passing year, the industry continues to improve these technologies and processes so that it can drill deeper, more quickly, more accurately, and more safely than ever before.” Rex W. Tillerson, “Energy Leading the Way: From Investment and Innovation to Twenty-First Century Economic Transformation,” in Business in a Changing Society: Festschrift for Peter Brabeck-Letmathe, ed. Andreas Koopmann (Zurich: Neue Zürcher Zeitung Publishing, 2014): 31. “Working Notes Towards the Unification of Guyana,” New World Quarterly (March 1963): 53. Ryan Cecil Jobson is a Provost’s Postdoctoral Fellow in anthropology at the University of Chicago. In July 2019, he will begin an appointment as the Neubauer Family Assistant Professor of Anthropology at the University of Chicago. His research examines issues of oil and extractive resource development, infrastructure, and postcolonial sovereignty in the Anglophone Caribbean. His current book project, Deepwater Futures: Sovereignty at Risk in a Caribbean Petrostate, is an historical ethnography of fossil fuel industries and postcolonial state building in Trinidad and Tobago. His writing is featured in Current Anthropology, the Journal of Latin American and Caribbean Anthropology, and Counterpunch. Jobson is also a Mellon Mays fellow. The State and the Environmental Clean-Up in Ogoni: Building Peace or the Continuation of Oil Politics in the Niger Delta?